You will find below the horoscope of Savannah (pornographic actress) with her interactive chart, an excerpt of her astrological portrait and her planetary dominants. Horoscopes having the same aspect Venus sextile Mars (orb 0°09'): Prince Harry, Duke of Sussex, Pamela Anderson, Robin Williams, Orlando Bloom, Jean-Marie Le Pen, Matt Damon, Pink (singer), Dave Gahan, Meghan, Duchess of Sussex, Niall Horan, Harrison Ford, Mylène Farmer... Find all the celebrities having this aspect. Horoscopes having the same aspect Mars conjunction Midheaven (orb 0°21'): Kristen Stewart, Ryan Gosling, Robert Pattinson, Kylie Jenner, Gisele Bündchen, Virgin Mary, Tobey Maguire, Claudia Schiffer, Naomi Watts, Steve Carell, Mia Farrow, Patricia Bündchen... Find all the celebrities having this aspect. Celebrities born the same day: John Lennon, France Gall, Bella Hadid, Laure Manaudou, David Cameron, PJ Harvey, Sharon Osbourne, Yann Barthes, Camille Saint-Saëns, Sean Lennon, Guillermo Del Toro, Brandon Routh... List of all the celebrities born on October 9. Celebrities clicked on in real-time: 577,398,704 times. Here are some character traits from Savannah (pornographic actress)'s birth chart. This description is far from being comprehensive but it can shed light on his/her personality, which is still interesting for professional astrologers or astrology lovers. 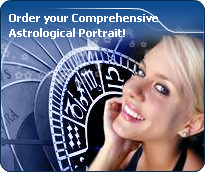 In a matter of minutes, you can get at your email address your astrological portrait (approximately 32 pages), a much more comprehensive report than this portrait of Savannah (pornographic actress). Savannah (pornographic actress), the diurnal South-eastern quadrant, consisting of the 10th, 11th and 12th houses, prevails in your chart: assertion and goals achievement are at the centre of your concerns. You are very keen to implement your dreams and your plans. You achieve your ambitions as soon as possible, whether through an active social life, highly charged friendly relations, or an urge to take actions in order to reap - in the eyes of the world, of course - the rewards of your dynamism. It is likely that spirituality or humanitarian actions are part of your motivations, sometimes at the price of some degree of isolation. Like the majority of Earth signs, Savannah (pornographic actress), you are efficient, concrete and not too emotional. What matters to you is what you see: you judge the tree by its fruits. Your ideas keep changing, words disappear, but actions and their consequences are visible and remain. Express your sensitivity, even if it means revealing your vulnerability. Emotions, energy and communication must not be neglected; concrete action is meaningless if it is not justified by your heart, your intellect or your enthusiasm. Cheers for communication and mobility, Savannah (pornographic actress)! The predominance of Air signs in your chart favours and amplifies your taste for relations and for all kinds of short trips, whether real (travels) or symbolic (new ideas, mind speculations). You gain in flexibility and adaptability what you lose in self-assertion or in pragmatism. The Mutable mode is the most emphasized one in your natal chart, Savannah (pornographic actress), which indicates a mobile character that is curious and thirsty for new experiences and evolution. You are lively and flexible, and you like to react quickly to solicitations, but don't confuse mobility with agitation, since this is the danger with this configuration - and with you, stagnation is out of the question. Security doesn't matter as long as you are not bored. You optimize, you change things, you change yourself... all this in a speedy way. Your angular houses, namely, the 1st, 4th, 7th and 10th houses, are very emphasized in your chart, Savannah (pornographic actress): according to the Tradition, they are the strongest and most dynamic houses. Should the rest of your chart concur, angular houses suggest that you are an enterprising, energetic and assertive woman. Indeed, angular houses are said to generate impulsions and to give a powerful and domineering personality. After this paragraph about dominant planets, of Savannah (pornographic actress), here are the character traits that you must read more carefully than the previous texts since they are very specific: the texts about dominant planets only give background information about the personality and remain quite general: they emphasize or, on the contrary, mitigate different particularities or facets of a personality. A human being is a complex whole and only bodies of texts can attempt to successfully figure out all the finer points. You cannot dissociate love from passion, Savannah (pornographic actress). Your feelings are immediate, imperious, intense, and it is absolutely impossible for you to think of an amorous relationship without fusion, without the irresistible desire to know everything about your partner: emotions, feelings, sexuality, everything must be experienced in a possessive, absolute and unrestricted way. Actually, your feelings are as complex as they are deep. You seldom love, but when you do, a burning ardour and its torrid, violent frolics consume your couple. It is obvious that such powerful feelings may lead to jealousy and absolute exclusivity, almost bordering on the will to control your partner. If your relationship is genuine, all is fine. But if it is not the case, there are real dangers of shared wounds within your couple; it is hard to reconcile passion with tranquillity and it is clear that for you, sentimental serenity involves a partner who is either as complex as you and who instinctively understands you, or who is complementary, and as calm and steady as your impulses are intense and deep. The ruler of the Ascendant, Savannah (pornographic actress), is Jupiter. It is posited in the sign of Scorpio and makes you appreciate mysteries and the unknown. You need to understand, to solve riddles, and to take action behind the scenes, perhaps so as to be even more efficient. Your criticising skill is a weapon, but it may also backfire on you, just like your sometimes excessive obstinacy. Savannah (pornographic actress), you skilfully make use of your energy and you are like the arrow that reaches its target with great precision: with piercing eye and sharp mind, you take action meticulously and efficiently. Like the surgeon with his scalpel, you know exactly what you want and you belong to the category of specialists, not the generalists. Critical, pernickety, extremely organized, you want to foresee and to analyze. You prefer to master your business too well rather than not enough, even if you must put a huge, sustained, long lasting effort into it. Sexually, you remain fanatical about cleanliness. You may be prone to fantasies such as fetishism. Your love life is fine if you avoid the unforeseen events that you loathe. This text is only an excerpt from of Savannah (pornographic actress)'s portrait. We hope that it will arouse your curiosity, and that it will prompt you to deepen your knowledge of astrology, as well as to visit and use the wide range of free applications at www.astrotheme.com.